A quality field will play one round over the Sandy Hills Links in the morning before taking on the Old Tom Morris Links for the final round in the afternoon. 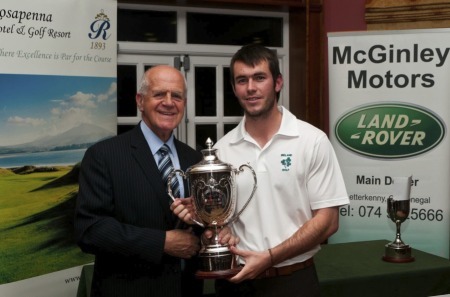 This event attracts Ireland’s top amateurs with Rory McIlroy winning the inaugural event in 2005 and finishing runner up in 2007. Past winners include Brendan McCarroll, Simon Ward, Enda Kennedy, Connor Doran (twice) and the defending champion Aaron Kearney of Castlerock. 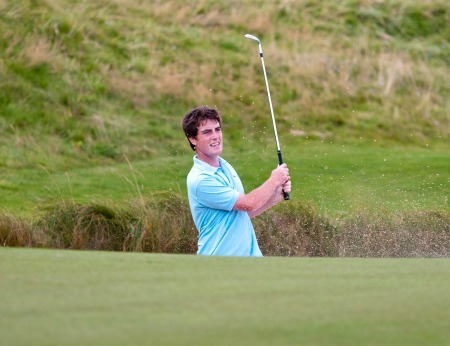 Galway’s Eddie McCormack, who reached the semi finals of the North of Ireland earlier this summer, is also making the journey up to Rosapenna as well as former West of Ireland winner Rory Leonard of Banbridge, 2011 North of Ireland winner Patrick McCrudden of Portrush and Ulster Interprovincial player Matt McAlpin. The event is supported by McGinley Motors, Letterkenny. A lot has happened in Rory McIlroy’s life since he won the inaugural Rosapenna Senior Scratch Cup in 2005.Walker Cup players Alan Dunbar and Paul Cutler have had to pull out to meet up with the Great Britain and Ireland team ahead of next week’s joust with the US, but there is still a top quality field for tomorrow’s Rosapenna Senior and Junior Scratch Cups in spectacular Donegal. Ballymena’s Dermot McElroy and Reeve Whitson are Ireland’s leading contenders in the St Andrews Links TrophyRory McNamara was one of the notables to miss the cut but Ballymena’s Dermot McElroy and Mourne’s Reeve Whitson can still make their mark over the final 36 holes of the St Andrews Links Trophy at the Home of Golf.